Cuba was hit hard by the collapse of the Soviet Union. “I landed in a world that resembled the aftermath of a natural disaster or war,” wrote in an account of arriving in Havana in 1993 by Marc Frank in his excellent book Cuban Revelations. The journalist had left a bright and bustling city in 1984, but by his return there was little sign of illumination. Water and electricity was cut-off for periods of time, much of the public transport network ceased to operate and basic food stuffs became hard to come by. In fact, the United Nations said that average caloric and consumption fell below its minimum requirements for the first time since the 1970s. Real wages fell by around 20% for the majority of workers. Some Cubans went to extraordinary lengths to survive. “We used to make hamburgers out of grapefruit rinds and banana peels; we cleaned with lime and bitter orange juice and used the black powder in batteries for hair dye and make-up,” a nurse told Frank. Thousands of urban workers were sent to the countryside in a bid to grow more food. You don’t need to look very far to see why things went so drastically wrong for Cuba. The subsidy provided by the Soviet Union had been worth $5bn annually and its loss mean that GDP had fallen by 35% in around three years. And the Soviet Union had supplied 63% of its food and 80% of its machinery, while purchasing 63% of its sugar – Cuba’s main industry at the time – and other goods in return. But many were helped out of the misery that followed the end of the Soviet Union by being able to access convertible pesos (the newer Cuban currency traded internationally, as opposed to the older national pesos currency which state workers are paid their salaries in). Those who have been able to get convertible pesos have seen their earnings continue to increase. Gardeners, maids and nannies – who were and are often paid on the black market – became better off than doctors and other professionals working for the state. The new currency also stimulated an unofficial property market, whereby ordinary Cubans – who didn’t have the legal right to sell their homes until 2011 – sold up to those who could afford it. According to a number of measures, life has improved for many Cubans in recent years. When Raul took over from his brother in 2008, UN figures showed that the country was ahead of many others in the region, including corruption and it has continued to provide more assistance – such as health and education support – to other poor countries than other midsized developing countries. People have also pointed out that Cubans also benefit from free education and health care, plus cheap transportation and utilities. Until recently most have also not paid any rent, taxes or contributions to social security. Yet even though things have improved in the economy, Cubans have had to face up to new realities in recent years. Retail service reforms in 2010 brought layoffs and cuts to unemployment benefits, with the government suggesting that some people should take non-state jobs – an unthinkable prospect not that long ago. The 2011 reforms – which included the private sector having a greater role (which I will cover in a later blog) – were intended to “defend, maintain and perfect socialism,” by borrowing from capitalism. The reforms therefore should be seen as tweaks, not a complete overhaul, of the one party system. Castro has, for example, placed considerable emphasis on cutting back on bureaucracy, corruption and skimping of poor quality products. It seems a logical way of improving life for people in Cuba. 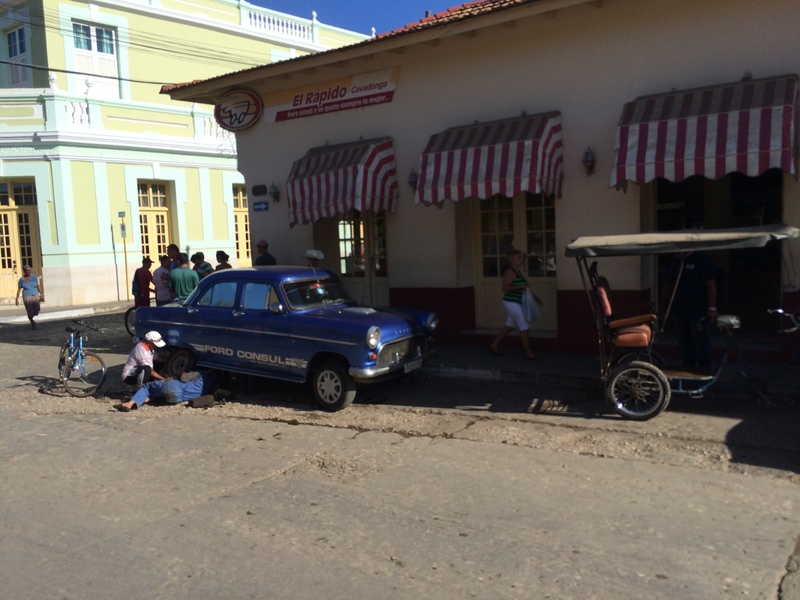 Tomorrow: The re-birth of tourism after Cuba’s sugar industry falls into decline.